Nearly everyone uses mobile phones these days, and savvy entrepreneurs or established business people can benefit from learning how to use mobile marketing in their business. In 2015, researchers project that there will be two billion mobile users, according to Mobile Marketing Watch. That figure includes smartphones, tablets and other devices. 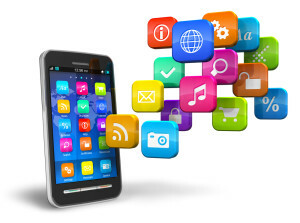 Mobile marketing is the use of ads that appear on a mobile device. They vary from those advertisements created using a template from the server or the site where the ad will appear to ads that are designed using the business’s own personality and flair. Research suggests that the use of mobile devices will top desktop computers for searches in 2015. That means using mobile marketing for your business will potentially draw more customers than targeting home computers. How Is Mobile Marketing Used? First, how do you create mobile ads to promote a business? There are services, like Google, that help businesses design and implement mobile ads and then shuttle them to partnered apps. Social media sites solicit advertising for their mobile apps as well, and use templates to make them “good fits.” These new Facebook ads appear in the newsfeed and, as annoying as people claim them to be, are sometimes not even perceived as advertising. Mobile marketing from these creative services also targets game users with pop-ups that surface as they are playing. There are several other types of mobile advertising that business people can create with a bit of tech knowledge. QR codes, also known as quick response codes, are boxes that appear in everything from magazines to mobile devices. Smartphones and tablets read the codes with a special app that can be downloaded, and the information may be an advertisement or a link to an advertisement. Location-based mobile advertising is an ad that pops up on a mobile device when the user is in the location of the service. Research indicates that mobile user searches are usually for local services. There are also ads, called click-on ads, that allow people to go directly to a business website, or even to place a call to a business, by clicking on an the appropriate advertisement. What Are Some Tips For Using Mobile Advertising In Business? First, be as concise and as clear as you can. This is always a consideration when you are purchasing advertising space, but it is vital to mobile advertising. The screens where customers will view your ad are small and a lot of text, or moving images that load slowly, can be confusing and frustrating. Second, make ads useful for local searchers. An ad for a business in another city will not give as great a return on your investment as one for a nearby establishment or service. Third, adapt your ad to the audience you are targeting, such as in pop-up ads in games. Finally, track your results. Make sure you are optimizing the methods. The emergence of mobile devices has changed the way we do business. We can search for a service while we are traveling or away from our offices. That fact makes it imperative for commercial success that a company must use mobile marketing for a successful business.